The friendly staff at the Holiday Inn Quantico Center is dedicated to help make runners' stay an unforgettable experience. 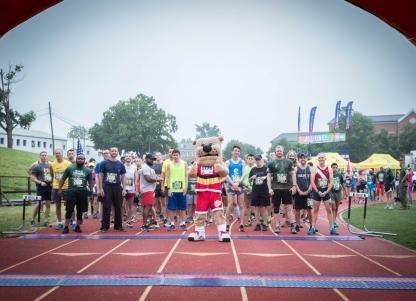 Just minutes from Marine Corps Base Quantico and the Belleau Wood 8K Course, the Holiday Inn Quantico Center offers the Quantico Bar & Grill where runners can enjoy a lively atmosphere and delicious food. When preparing for the run, visit the fully equipped fitness center. Special runner rates are available under group name: Belleau Wood and group code: BW8 between Friday, June 14 and Sunday, June 16. Book before May 15, 2019 to secure the best available rate. Runners may make reservations online or by calling 703-441-9001 or 1-800-HOLIDAY. Reservations are also available through the Holiday Inn website by using group code BW8. Participants must show the E-card at Packet Pick-up either printed out or displayed on phone to obtain the bib and official participant shirt. Listen to your inner Devil Dog. 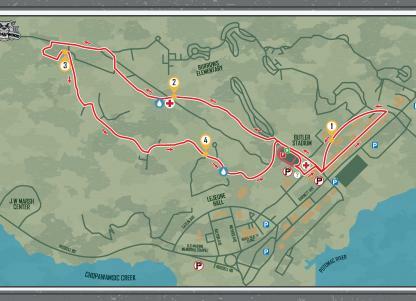 Run the Belleau Wood 8K and conquer the hills and trails of the Marine Corps Base along this 4.97 mile course. 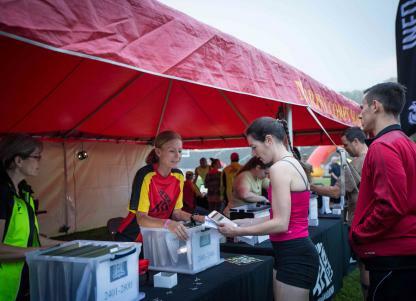 The 4.97 mile run will send participants through the trails of Marine Corps Base Quantico.